Who ever heard of a vegetarian T.Rex? Or a T.Rex who isn’t big or scary? When the cute little dino in this story hatches from his egg, it’s obvious that something is wrong. Why isn’t he huge and nasty like the others? Why does he munch on water-weed? Why is he green and not red? 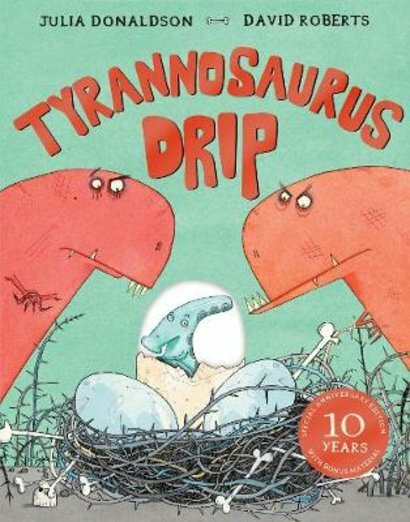 He’s so out of place that his grisly big sisters call him Tyrannosaurus Drip. But don’t be fooled. This little dinosaur may look small and weedy, but he turns out to be very brave indeed!